The two horses were in a small backyard and no water, food or shelter was available. Hillsborough deputies said one of the horses had already died. 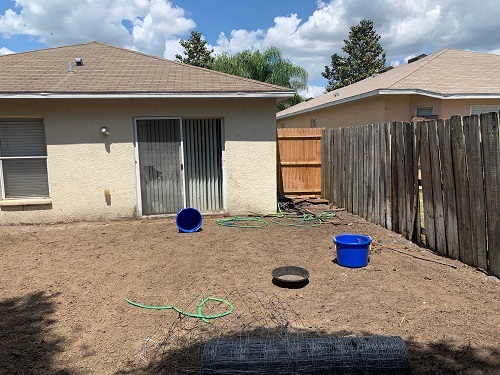 RIVERVIEW – A Riverview man was arrested after deputies discovered one dead horse and another with no food or water in his backyard, according to the Hillsborough County Sheriff’s Office. David Wayne Middleton, 60, of Riverview, was charged with two counts of Unlawful Confinement/Abandonment of Animals. Today (April 13), deputies said they had added another charge – Aggravated Cruelty to Animals, a felony, after the investigation found that one of the horses kept in Middleton’s backyard began to colic and suffer. Middleton, who has more than 10 years of experience with horses, failed to seek veterinarian advise or services resulting in the cruel death of the horse, deputies said..
Hillsborough County Agricultural deputies were called to Adventure Drive in Riverview on Thursday (April 11) for a complaint of animal neglect. Once on scene, deputies found two fully grown horses confined in a small back yard of a residential home in the Panther Trace Subdivision. One of the horses was already deceased, and had been so for several days. Deputies said the small backyard, about 40 feet by 40 feet, had no water, food or shelter available for the horses. Several neighbors told deputies they had not seen the owner in weeks. Agricultural deputies said they were able to contact Middleton, the owner, who came to the scene. After further investigation, interviews, and a veterinarian examination, Middleton was arrested and charged. The surviving horse was taken to a Hillsborough County Sheriff’s Office shelter where it is receiving medical care. This is an active investigation and additional charges could be pending. Video shows Levi the horse today (April 12) after his rescue. He is shown at a Hillsborough County Sheriff’s Office shelter. 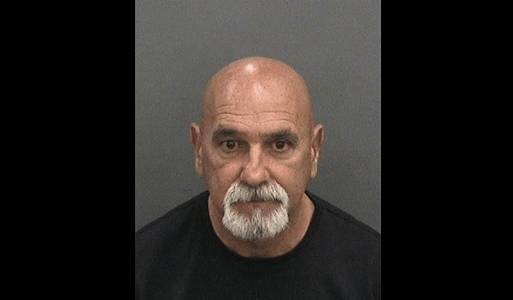 Video and photos courtesy of the Hillsborough County Sheriff’s Office.